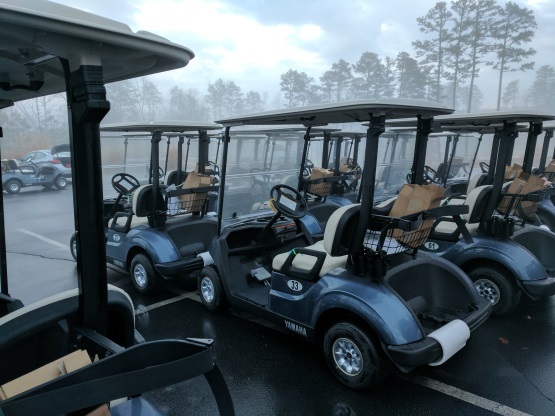 It was an unusual winter…a little snow, a little cold, and a lot of decent golf weather. River Oaks has been covered up on the good weather days. But, that should be expected…conditions are outstanding. The Superintendent (Chad) and his crew have worked all winter to make sure that River Oaks is at its best during the “off season”. 2016 marked new records at River Oaks. Play was at an all time high of over 28,000 rounds. We boast more than 240 members. The course is the best it has been in anyone’s memory. Make sure you get your tee times early…and bring a 4-some! Course conditions keep getting better and better. I look forward to seeing all of you at River Oaks soon! RIVER OAKS MEMBERSHIP. River Oaks boasts over 240 members…way up from 110 as we started last year. 2016 membership drives were fruitful — but our greatest tool in membership growth is the current membership. If you are a member…tell your friends. If you are not…consider the benefits and advantages. We are now accepting new members for a limited time! All people, all ages…only $55 per month. There is now a $250 initiation… waived if you pay for the entire year ($660). There are no hidden charges. Play 7 days a week for cart fee of $15. And, membership at River Oaks includes free use of the driving range. Additional immediate family members (spouse, children under 21) are an additional $25 per month. Upcoming Events: Our tournament schedule is filling up. Ask for details at the pro shop and look for future emails announcing tournament playing opportunities. There are dozens of opportunities to play in 4 man captain’s choice events. 9 hole league for all skill levels. Tee off between 4:30 and 5:30 starting on 15 March thru the end of the summer. Prizes paid every week…net score, closest to the pins, and optional skins. Green fees plus $5 for prize pool and $5 for optional skins. Text Mike Pepe at 919 357-0519 for details and to sign up. 9 hole league for experienced golfers playing under USGA rules. 5pm shotgun start beginning on 16 March thru the end of the summer. Green fees plus $5 for prize pool and $5 for optional skins. Text Mike Pepe at 919 357-0519 for details and to sign up. 10am Saturday, 12:30 pm Sunday…times subject to change. You must sign up by Thursday each week to ensure you have a spot. Greens fee plus $20 for team, individual, and skins. Call the proshop for details and to sign up! 22-23 Apr: River Oaks Member/Guest. This two day tournament is always a blast. Sign up sheet will be posted soon. Make sure to set the weekend aside and reserve your slot! Be on the lookout for more information! 15-16 July: River Oaks Member/Member. 30 Sep – 1 Oct: River Oaks/Glenn Oaks Interclub. 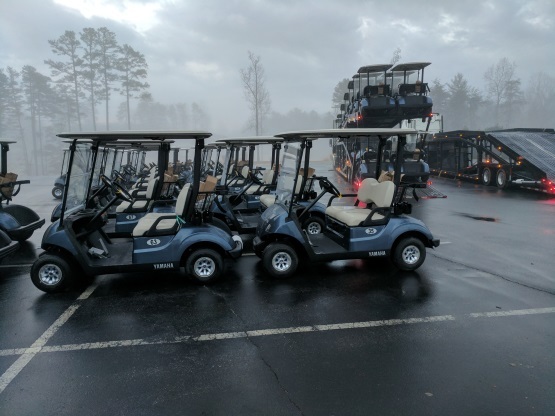 GOLF CARTS — River Oaks has increased our cart fleet from 60 to 72 carts with the addition of 52 2017 Yamaha Carts…they pair nicely with the 20 2015 Club Carts still in the inventory. Check out our new web-page…we made a major facelift of our golfriveroaks.com website…and our facebook page. Look for continued updates! 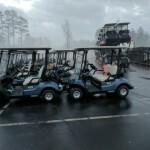 Also, “friend” River Oaks Golf Club Maintenance on Facebook for the latest from our Course Superintendent. Up-Coming Projects — #8 “upper tee boxes” have been re-built and will re-open this spring. This beautiful tee box location will bring back one of the signature holes at River Oaks! Due to heavy use, and a lot of members, the practice facilities at River Oaks are now available to Members and same day Golfers ONLY. Our driving range is available to members, as they want…and to golfers prior to their tee times. The driving range is no longer open to non-members who want to hit range balls on days they are not playing golf. GHIN Handicap System: The GHIN handicap system is available at River Oaks. 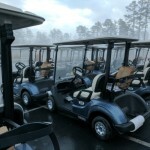 The proshop personnel can assist you in establishing a Handicap account thru River Oaks. Cost is $25 per year for River Oaks members…$35 per year for non-members.